Frank (Willis) is a former black-ops CIA agent living a quiet life alone...until the day a hit squad shows up to kill him. 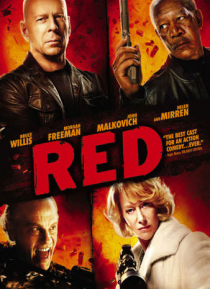 With his identity compromised, Frank reassembles his old team - Joe (Freeman), Marvin (Malkovich) and Victoria (Mirren) - and sets out to prove that they still have a few tricks up their sleeves. Stand back and watch the bullets fly in this explosive action-comedy.